This book got me hooked. I finished it in a span of 3 days. 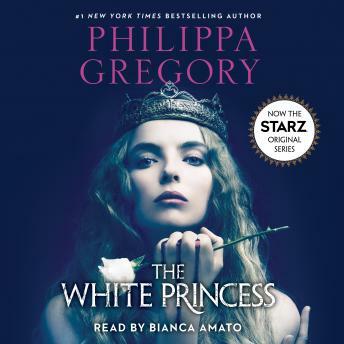 The app itself is easy to use and I will definitely listen to more Philippa Gregory books. Excellent book. I love this series! Can't wait to finish the rest of her books. While it was definitely not up to par with White Queen, I still enjoyed this book. The narrator's voice is very enjoyable! I don't see how people are saying this is a good read. It's just the same scene over and over again. It's always either 'I don't know' or 'it's the boy'. You read these phrases again and again. I did not like it. I became addicted to this series. This book like the others is very interesting and the narration is quite suiting for the story. Eager to read the last book in the series! In this book you discover that Margaret Beaufort has no goal in life but to control the universe. But really, the book is a compassionate story of Elizabeth of York. She was a woman in the middle of York and Tutor rivalries who did her best to honor her mother, her husband the king, and love and protect her children. I admire her. This book kept me on the edge. I found it very interesting and the narrator did a superb job.